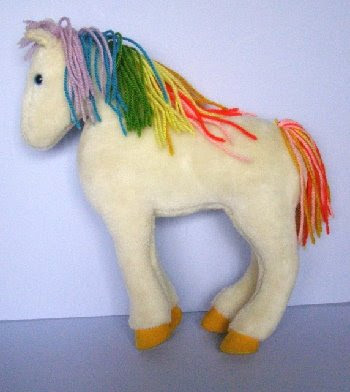 I've decided that I need to dig through old boxes and see if I really did keep some of this stuff...I just found a site where Starlite, Rainbow Brite's horse, is going for $95. Seriously?? I had it. Wonder if I still got it? PS. Hey mom, how come you bought me Rainbow Brite's horse and not Rainbow Brite? Limited income must have meant getting the character doll accessories, not the actual character doll. Too funny. I think my neighbor Nicole had the actual doll. I bet the moms got together and made a plan. "Ok, I'll buy the doll if you buy all the crap that goes with it." Good plan, moms. I am sure you are right. I couldn't afford both and Kmart probably had the horse on sale. i thought it had a saddle on it too. You better dig around and see what other gems you have in a tote box. Don't you still have the strawberry shortcake lamp? That might be worth something.